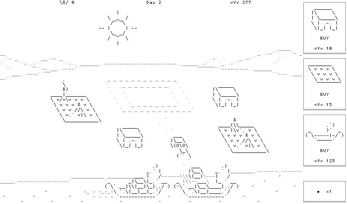 Guide workers through Farming, Unloading cargo and Pushing gigantic stones to build a mighty Pyramid, in pure ASCII delight! 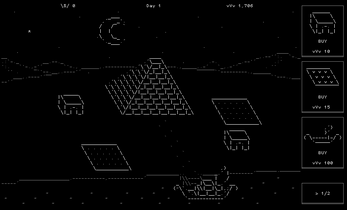 Pyramid Builder is a God simulation game where you grow a civilization, strengthen your delivery fleet and bask in the awesomeness of an innovative art style. Can you complete the Pyramid in less than 30 days? I really enjoyed this game and i hope it grows in the future. I really like the art design, but it doesn't look like there's much to do other than "build in this order or better by x time". Even one choice of "you can build farms for low income easily, or you can process the grain for high income that must be balanced with farms" would make this a lot more interesting. Amazing Game! What engine was used to make it? It leverages my Stone Story RPG input/output systems. Hey, this is an awesome game! I wanted to ask, which font did you use for this? Had fun playing this! 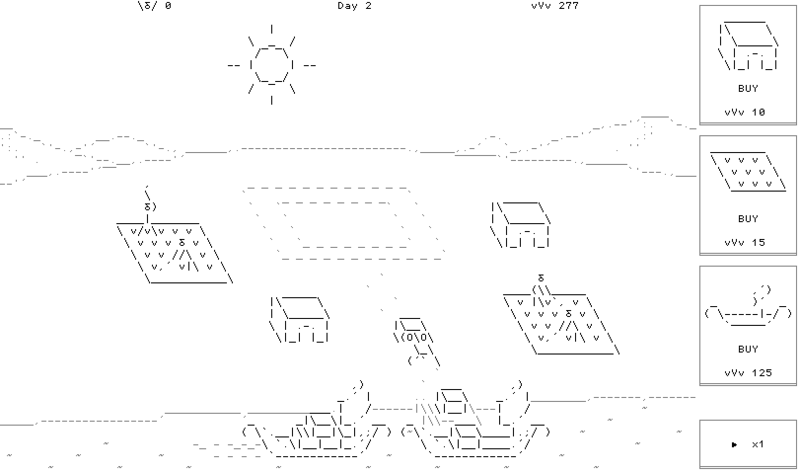 On my first play through I built it in 26 days, so it might be a bit simple (since it is a jam game this is fine), but the color changing ascii art is very successful and the day/night gameplay cycle has a really nice tempo to it. Great result. Thanks for playing! Really impressive, but is unity too heavy-weight for this? It's a trade off. Unity has overhead but you can easily publish to any platform. 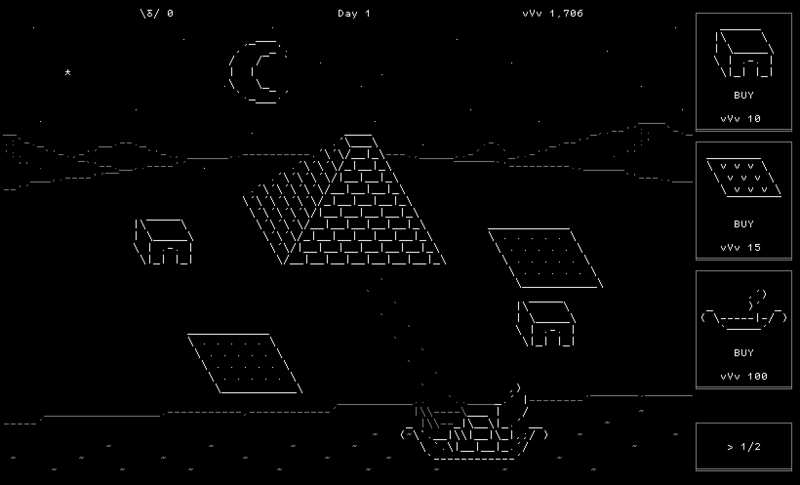 That said, the file size for Pyramid Builder could be much smaller if I spent the time pruning. This game was done in 3 days!